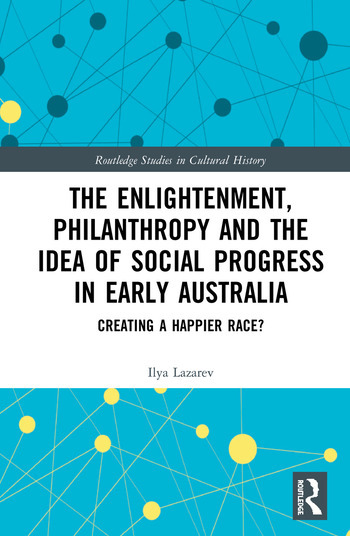 The Enlightenment, Philanthropy and the Idea of Social Progress in Early Australia: Creating a Happier Race? This book seeks to highlight the influence of the Enlightenment idea of social progress on the character of the "civilising mission" in early Australia by tracing its presence in the various "civilising" attempts undertaken between 1788 and 1850. It also represents an attempt to marry the history of the British Enlightenment and the history of settler-Aboriginal interactions. The chronological structure of the book, as well as the breadth of its content, will facilitate the readers’ understanding of the evolution of "civilising attempts" and their epistemological underpinnings, while throwing additional light on the influence of the Enlightenment on Australian history as a whole. Ilya Lazarev holds a PhD in History from the University of Melbourne, and an MA in International Relations from Ritsumeikan University, where he researched Russo-Japanese economic cooperation.